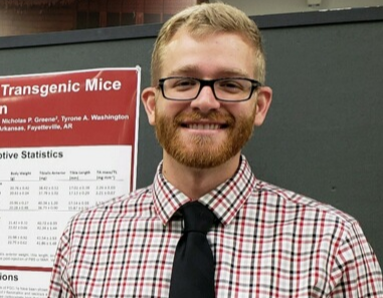 Wesley Haynie, a University of Arkansas doctoral student in exercise science, will present his research from 3 to 4 p.m. today, Sept. 14, in Room 311 of the Health, Physical Education and Research Building. Haynie's presentation is titled "Fibrosis in Skeletal Muscle During the Development of Cancer Cachexia." His faculty adviser is Tyrone Washington. The presentations are part of the Department of Health, Human Performance and Recreation Research Seminar Series. The seminars are free and open to the public. The series is intended to expose students and faculty to research being conducted in the department.